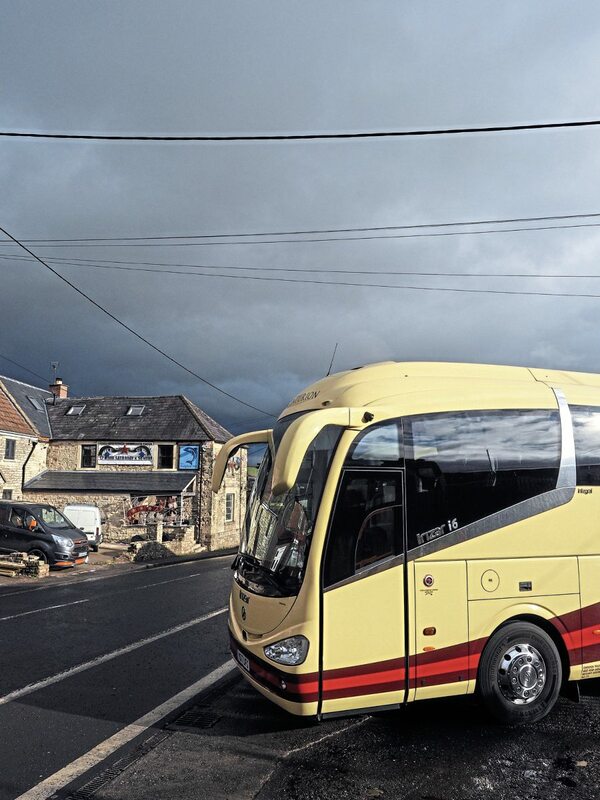 Based in the pretty town of Midsomer Norton, nestled next to the Mendips, Centurion Travel is a traditional coach operation in almost every sense. Its one-acre depot sits alongside a church, surrounded by residential property, and has been developed gradually to meet modern standards. 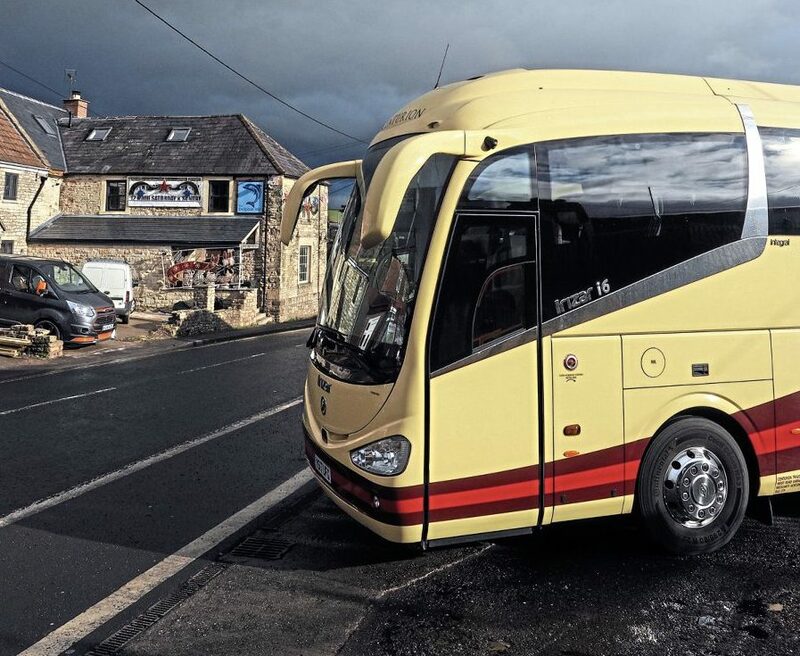 It is a world away from the image of many of the coach industry’s leading lights, trading with 50 coaches from a steel building on an industrial estate; Centurion is very much at the heart of its community. 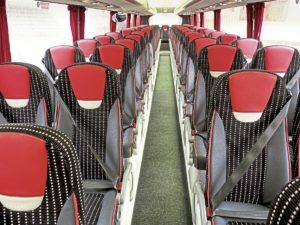 I make this point because Centurion proves that, with shrewd investment and modern systems, a relatively small coach operation with some history behind it can elevate itself to aspirational standards. The kind of level where CoachMarque can be earned and add another marketing opportunity to the mix. My visit came on a day when Director, Steve Spiller, had several balls in the air. Not only were builders across the road re-roofing his house in the rain, but the local electrical contractors were busy installing new lighting in the office, workshops and the yard. To add to Steve’s workload, January was proving a much busier month than anticipated, and booking inquiries were piling up in his email. 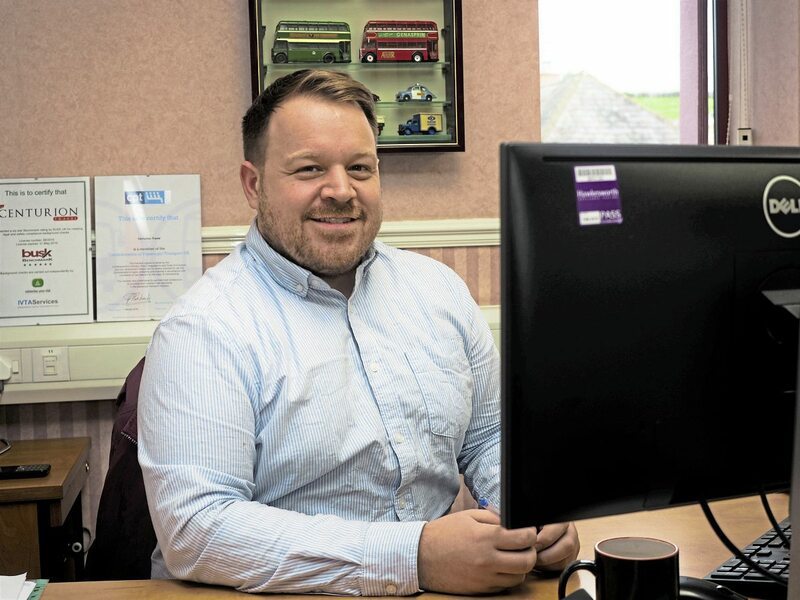 Steve wasn’t in the least bit phased, and broke off from the coal-face work to explain the backdrop to becoming the latest CoachMarque member – something the company achieved in very short order, and a standard he believes most good coach operators could attain with a relatively small investment of cash and effort. Centurion Travel’s rise to prominence has been gradual. 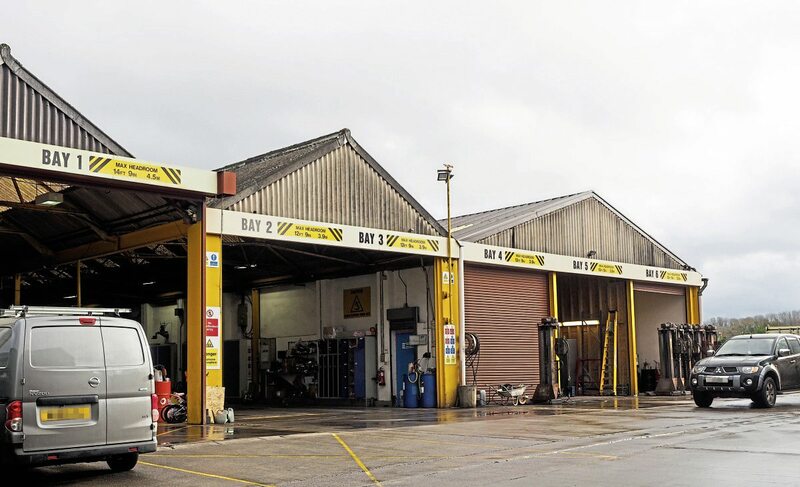 The depot was one of the satellite sites of Arleen Coaches from which Steve’s dad Martin, still very much part of the business, began trading in 1989. The Spillers are descendants of a long line of coach operators, which began with Martin’s great grandfather George Alford in 1925. It’s a company with a past, but looking forward to the future. It was by no means a certainty that Steve would go into the business. 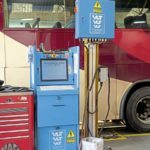 After leaving school at 15, Steve went to Tile Hill for a PSV Motor Vehicle Apprentice with Centurion then left in 2008 to try something different, he says. That turned out to be three years in language school. He returned in 2011, and was encouraged back by Martin, who saw a role for him. 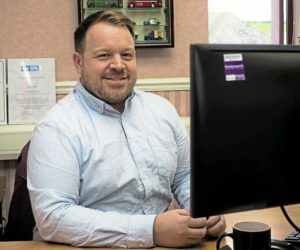 Martin’s core skills are in engineering, and he’s the company’s transport manager: “So I came back to the family firm. Pretty quickly, we saw an opportunity to accelerate development of the business by pointing it more towards travel into London – local competition is pretty fierce around here,” said Steve. “Watching developments in London, we just knew what was happening with the LEZ. It seemed obvious the Mayor would go straight to Euro VI, so in the last 3 ½ years we have invested in six Euro VI coaches – a quarter of our fleet. I checked the other day; that quarter of the fleet accounts for 52% of our mileage. “We managed it without spending any more than planned because our properties are paid for and the other vehicles are paid off. In the last financial year, turnover has risen 18% and a lot of that is attributable to the new coaches.” Net profit, he says, stayed the same because Centurion gave a wage rise to all the staff, which Steve and Martin felt was overdue. 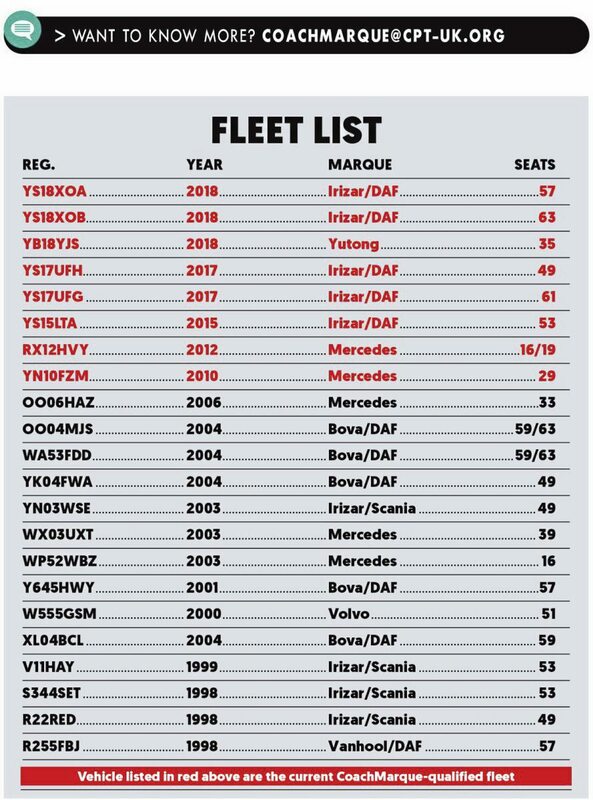 The choice of new DAF-engined Irizar Integrals was deliberate: “It’s 120 miles to London, and aside from an ULEZ considerations, our fleet needed to be capable of this mileage reliably,” said Steve. 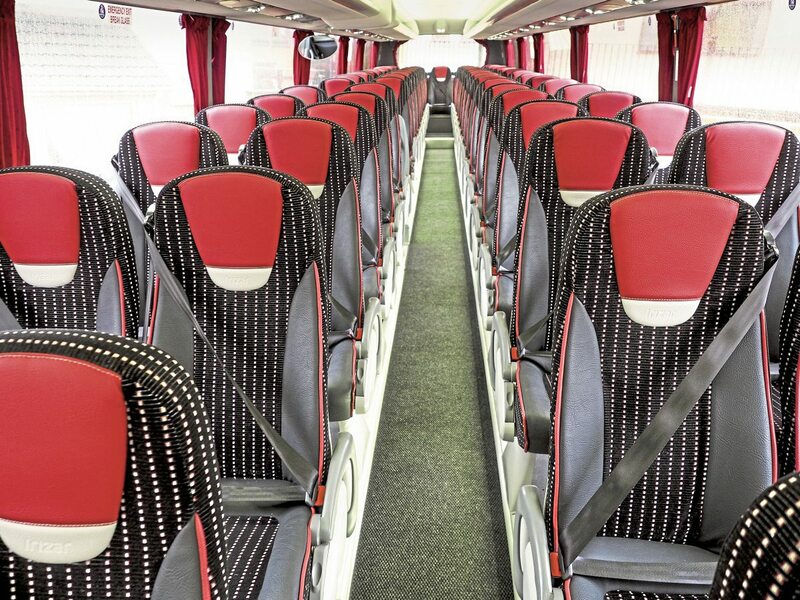 Since buying its vehicles, Centurion has also been appointed one of Irizar’s parts and service dealers. “I know people would say I would say this, but we have had a great experience of Irizar Integral coaches,” said Steve. 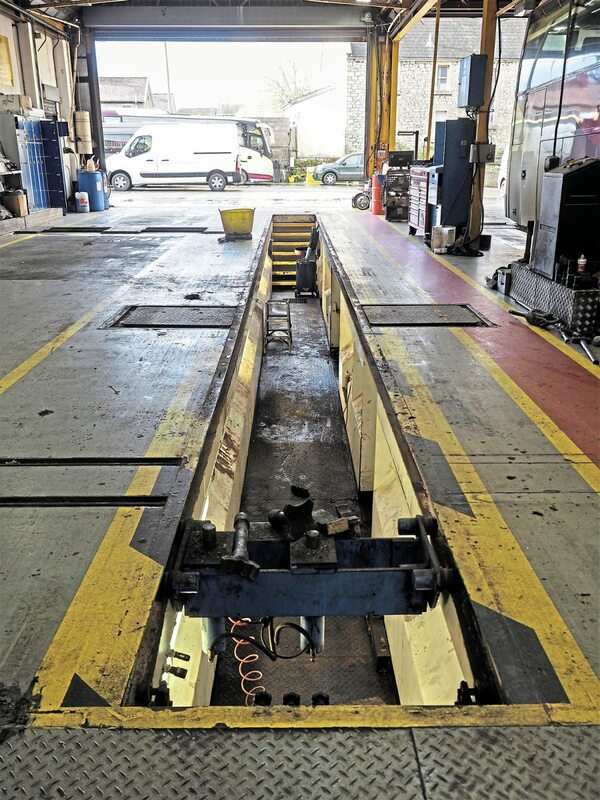 As part of the process, started in October 2018, one of Centurion’s workshop engineers is undergoing full training in the product, due to be completed soon: “He’s enjoying it,” Steve reports. The breadth of work Centurion tackles includes work for Snap – the app-driven on-demand coach travel service – language school transfers, school and college routes, UK tour work and much else besides: “We don’t do a lot of work for the coach brokers,” said Steve. He believes that, if brokers get too much traction, they will make themselves powerful enough to dictate pricing, and that is a path he feels the industry would regret. The company has worked with other local operators on huge movements of people into London, and on one recent co-ordinated programme for Bath Rugby supporters, sent two empty coaches along to self-insure against breakdown en route. Indeed, Bath Rugby has worked with Centurion to create an on-line booking system for away matches in The Clash series this year. Supporters have responded in number, aided perhaps by the high cost and complication of travelling by rail to the stadia. Centurion has prepared itself for a modern era in which every aspect of travel is prepared, stored and managed on computers. Its core software package is Coach Manager from Distinctive Systems, which offers secure handling of bookings, easy and efficient allocation of vehicles and drivers, client confirmations, driver work tickets, invoicing and a built-in sales ledger with extensive financial reporting facilities. 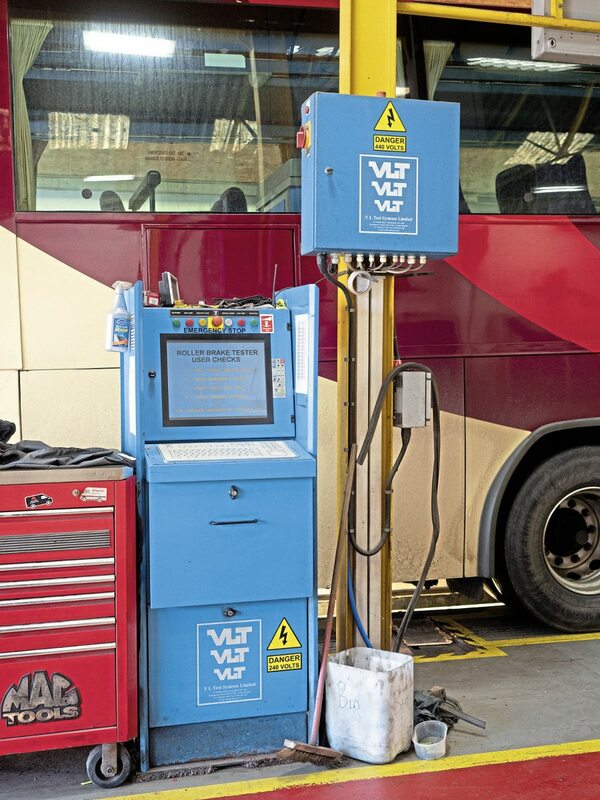 TruTac software manages the driving hours, with both paper and digital tachos in use. Though we know that all coaches registered this summer will have the new ‘smart’ tachos, Steve rues that no implementation date is known for the rest of the fleet, as he has a programme of replacement of disc tachos, when they fail, with digital. If he knew the final date DVSA and the EU has in mind for smart tachos, he’d be able to decide whether getting them is a better policy. Hire rates, said Steve, continue to frustrate. Not only is he finding that ever more late bookings are made but that hitting the right note between running at cost and causing a sharp intake of breath for hirers isn’t easy. In one of Centurion’s core markets, language schools, additional pressure has been brought to bear by Brexit. Steve says one school which provided 400 pupils with travel have decamped to Dublin. In a dynamic pricing model, the price reflects demand, whether caused by national holidays, peak traffic, events or competitors’ activity, which in the coach industry, includes rail. The idea is to inflate peak prices to help offer low off-peak rates to attract custom; the rail, flight and retail industries all use dynamic pricing. Centurion uses a simple hire price calculator spreadsheet which takes into account average depreciation, back office and running costs to give a base price and an aspirational price. But Steve admits it’s a rough guide only; if the potential for repeat business is clear, he might sharpen his pencil. What he says he won’t do is chase business with discounts. Hedging with different income streams isn’t restricted to the variety of travel choices at Centurion. 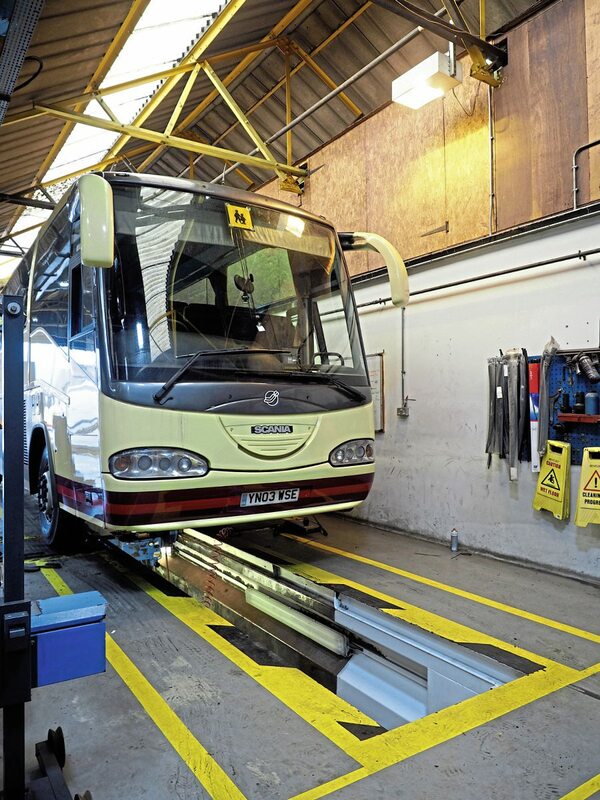 As I mentioned, the Irizar Parts and Service business provides background income for the impressive six-bay workshop set-up but there is also a DVSA Authorised Test Facility in Bay 1, and an office for DVSA staff in the refurbished office building. 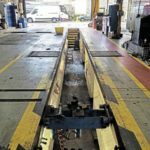 Having so much under-cover space allows Centurion to branch into other areas; Steve showed me a pipe-bending set-up which, he says, could reduce some stainless steel parts cost from £400 to £50 by making them in-house. During my visit, additional yard space was also in the offing with a plan to move a handful of collectible though immobile vehicles out of the yard to a new home; Martin’s hobby is restoring vehicles. I might also mention that the boutique Dolphin pub over the road is also a Spiller enterprise, and has gained fame with a device Martin built from a hydraulic scissor lift – a platform which rises from under the floor and, in normal use, has a pool table upon it: “I lost three stone digging that hole,” quips Martin. The pub doubles up as a presentation and training venue for staff and for operator meetings. You can’t visit Centurion and come away without the impression that it manages to blend perfectly the twin strengths of modesty and ambition. It knows where it’s come from and where it’s going, and I know it will have shifted up another gear next time I’m passing.